State Bank of India (SBI) is conducting Preliminary Exams for appointment as Probationary Officers (POs) in State Bank of India. 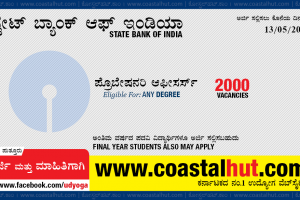 SBI was accepting online applications from the eligible candidates during the first week of May 2015. Now it is given the admit card/call letters to the applicants for the preliminary examinations. Applicants are suggested to download the call letters before appearing to the preliminary examinations of SBI.